We will be there for you every step of the way – from making sure you are healthy and managing any health conditions before you get pregnant, to making sure you deliver your baby safely, to helping you learn how to take care of your baby and yourself after you deliver. 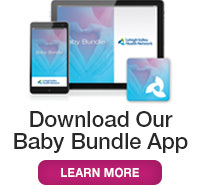 We offer the highest level of care for high-risk pregnancies available in the region. Our maternal fetal medicine specialists (high-risk pregnancy specialists) and neonatologists are available if you or your baby needs special care during pregnancy or delivery. Our team of highly skilled experts will care for you during and after delivering your baby in our Family Birth and Newborn Center at Lehigh Valley Hospital–Cedar Crest. Our infertility specialist can help you achieve a successful pregnancy. You will benefit from our lactation consultants and patient/family educators who can guide you in breastfeeding, newborn care and everything you need to know before and after birth. We have physical therapists who specialize in treating conditions related to pregnancy. There are a limited number of fellowship-trained urogynecologists and gynecologic oncologists nationwide. We are pleased to say we have these in-demand specialists at Lehigh Valley Health Network, and they are skilled in fertility-sparing techniques. Our skilled gynecologists, urogynecologists and gynecologic oncologists offer robotic surgery with the da Vinci® S and Si HD Surgical Systems. By integrating computer-enhanced technology with our surgeons' skill, robotic surgery offers patients the latest in surgical innovation, often with improved patient outcomes when compared to traditional techniques. All of our ob/gyn and maternal fetal medicine (MFM) locations are accredited by the American Institute of Ultrasound in Medicine (AIUM), a mark of safe and effective use of medical ultrasound and related testing. In addition, our MFM locations are the only sites in the Lehigh Valley accredited in fetal echocardiography by the AIUM. We offer the most advanced infertility treatments available. Every aspect of the Family Health Pavilion is designed with patients and families in mind, allowing for family-focused care. In addition, moms at LVH–Muhlenberg have access to unique services such as maternal fetal medicine for high-risk pregnancies, assistive reproductive technologies and access to services available through Children’s Hospital at Lehigh Valley Hospital. Rapid transfer services also will be available to LVH–Cedar Crest as needed. The Family Health Pavilion is also home to the Inpatient Rehabilitation Center–Muhlenberg. Our state-of-the-art Inpatient Rehabilitation Center features 28 private patient rooms, a therapy gym, state-of-the-art technical equipment and more. View a gallery of The Family Health pavilion here.